Tom and Elenna can’t let Evil Wizard Jezrin reach the Well of Power. If he drinks its water, his dark magic will know no bounds. 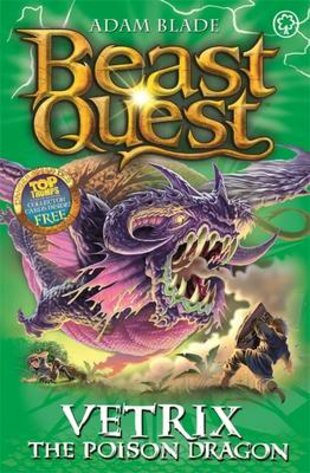 But a deadly bite from Vetrix the Poison Dragon could mean the end of their Beast Quest – forever! Can they stay clear of his lethal jaws?